I'm sorry but all I know to do is to keep replacing the reported files as they pop up. Hopefully we can resolve this with a couple runs. It is where you are, isn't it? (It's still the 28th here). ComboFix is updated regularly so each version expires every few days. The good news is that no manipulated files were found this time. It looks like we finally beat it down. I realize that you are still having problems with Outlook.com. Now that we believe you to be malware free, I suggest that you post in the browser, internet, and e-mail forum and seek help from the Tech Team. When you post there, please give them full information on your system - Make, model, operating system. Also, it would be good to post a link back to this thread so they can see the information you provided here. 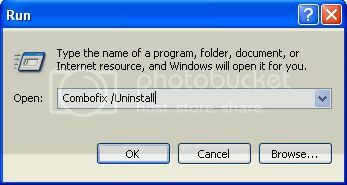 When done, you will be prompted to restart your computer. Please restart your computer. If you have any tools or logs left... you can just delete them. Please respond back that you understand the above and let me know if you have any questions. Otherwise, this thread will be closed Resolved (at least as malware is concerned). Yes, I'm across the dateline in Australia. I've done the two clean-up actions without a hitch. I'll post the IE/Outlook.com issue as you suggest and get on with reading and implementing the references you have given me. Thanks for your excellent and very timely help! As usual, I find you guys at WhatTheTech to be so dedicated and knowledgeable and a pleasure to deal with.